Twenty-Five weeks! I'm running out of ways to start these posts at this point. I have been working to get healthy and lose weight all twenty-five of those weeks and these updates help me be accountable. So, without further ado, here is how my week went. When I entered my weight last week, My Fitness Pal suggested I adjust my calorie goal, so I did. However, it gave me MORE calories. Only 10 more per day, so nothing huge. However, this got me thinking that I should probably readjust my settings now that I am more active. Hmm. 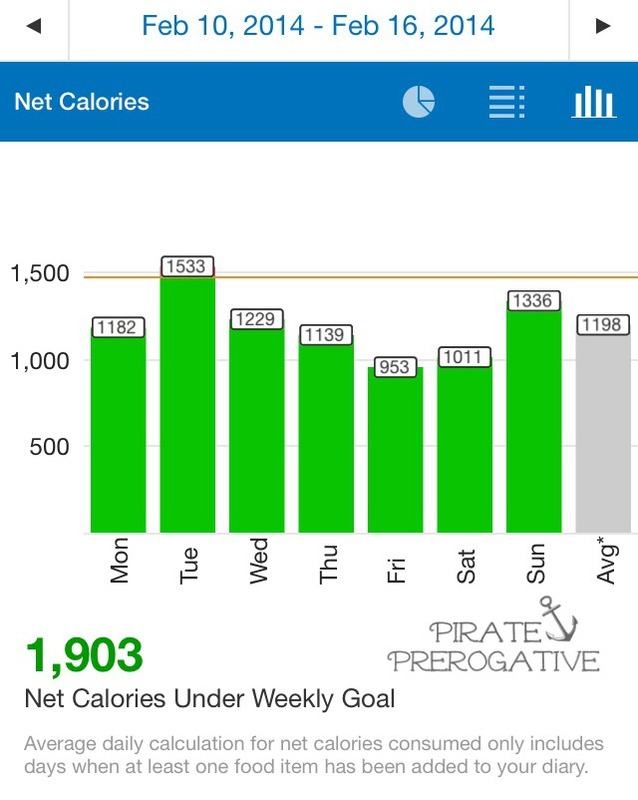 I really wanted to up my calories burned this week, and I did by nearly 800 calories! I also had a much better Sunday than the past few. My weight loss was a bit less than it has been with my Mamavation Bootcamp, but it's still a great loss. BB (before bootcamp) I would be elated to get that number. I am still SO excited to have lost though. I had a ton of stress and I was on my period, so that is never good for weight loss. I've got my work cut out for me for this week. I am on vacation, so getting in steps and sticking to my nutrition while traveling will be interesting. Be sure to check back next week and see how I fared. I've got a lot more to say about this week on Mamavation. Go read my thoughts and see my vlog. Don't forget to show your support for the other two moms too! Check it out.